Recognizing that the departure from gold and silver backing to fiat currency has led to crushing debt and great financial instability, a few state legislatures have begun to consider how to defend themselves and their citizens. In particular, Utah has moved towards a widespread acceptance of gold and silver, declaring any gold and silver coins issued by the US government as legal tender in the state—and free from any taxation. Laws such as Utah’s are a step in the right direction. They serve an important purpose, encouraging greater use of gold and silver as circulating media of exchange. Such measures start a conversation with the public about the useful role that gold and silver can play in protecting one’s purchasing power, while hedging against the abuses of politicians and bankers. Oklahoma followed with its own legal tender law, bringing the total people affected to almost 7 million. 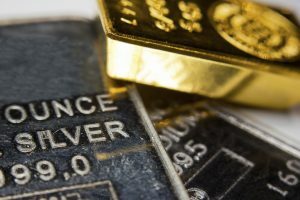 The more people are exposed to gold and silver, the more they are likely to recognize their superiority as media of exchange and stores of value. Another benefit of laws like those in Utah and Oklahoma is that they dispense with the notion that gold and silver are merely investments or speculations. Gains on investments, more times than not, are taxed in one way or another. But gold and silver are indeed money, and imposing a tax on the exchanging of one form of money for another is both ludicrous and unjust. People should be encouraged to save in real money. The inflation tax on every person holding fiat money whittles away at their savings and purchasing power. While the Federal Reserve Note ‘dollar’ has lost more than 97% of its purchasing power since the Federal Reserve System was created in 1913, gold and silver are much better stores of value, having risen 60- and 20-fold, respectively, in their dollar-denominated price.